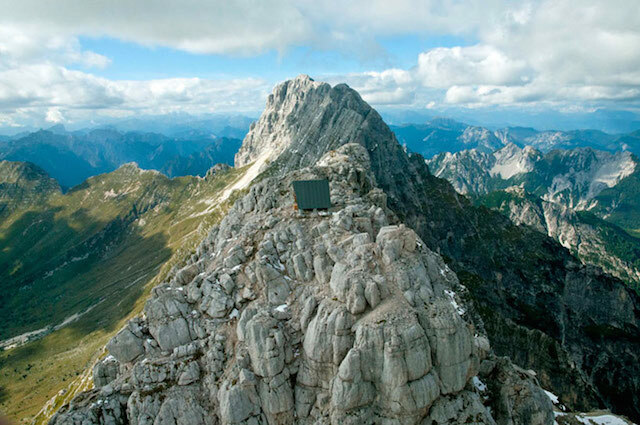 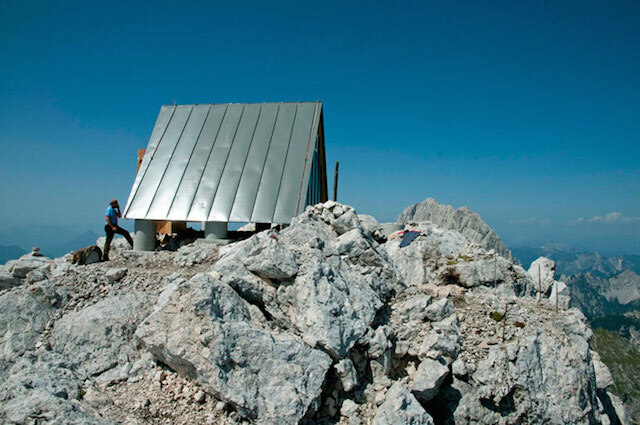 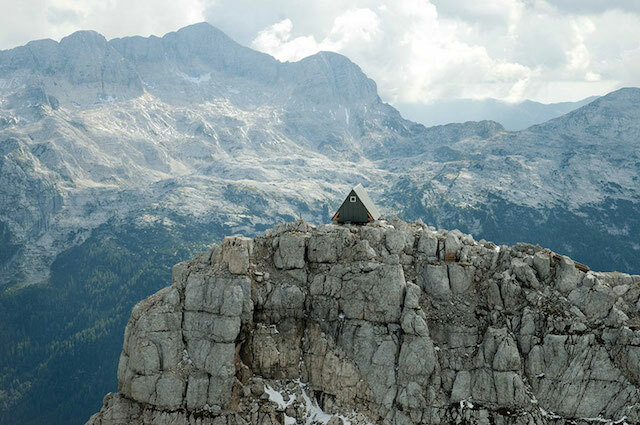 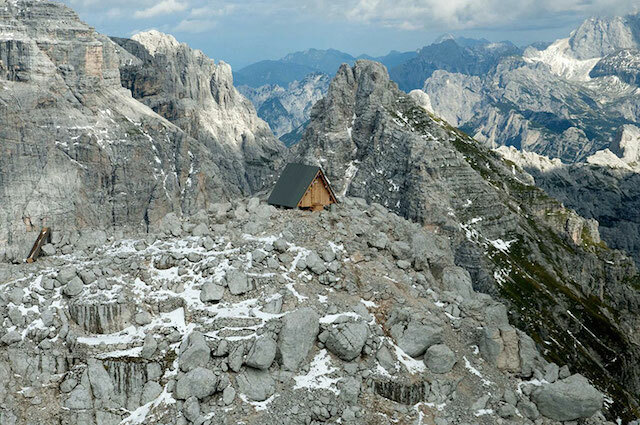 Italien architect Giovanni Pesamosca has built a wooden refugee, suspended on a mountain of the julian alps, at the borders between Slovenia and Italy. 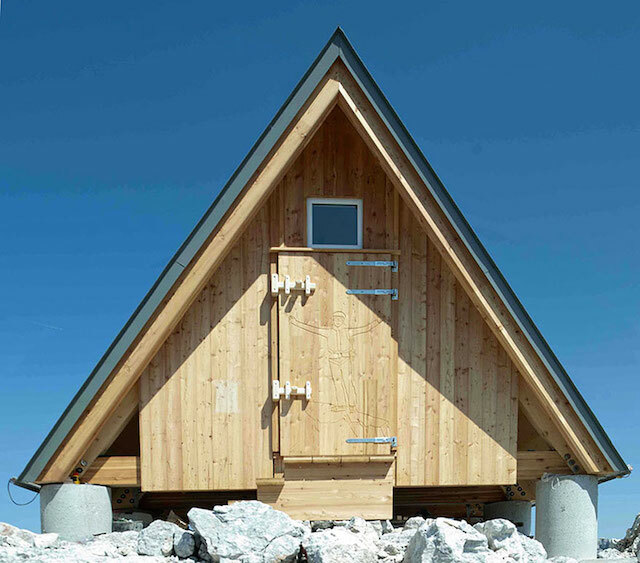 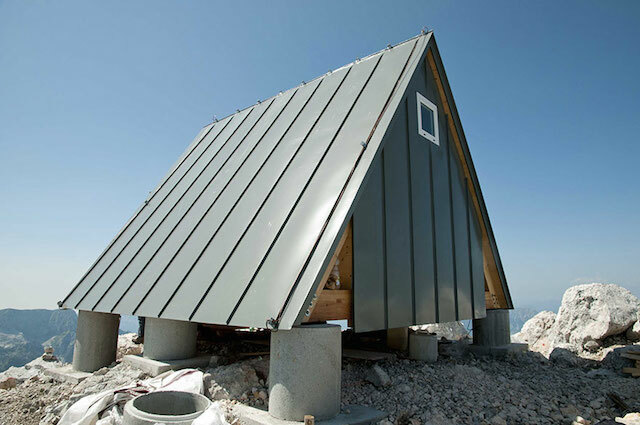 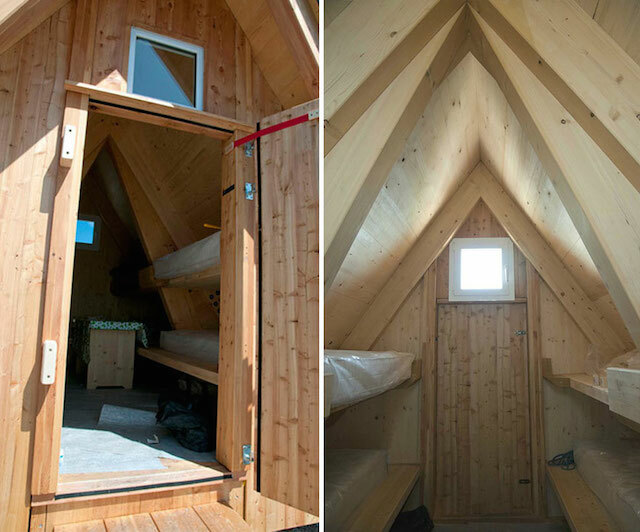 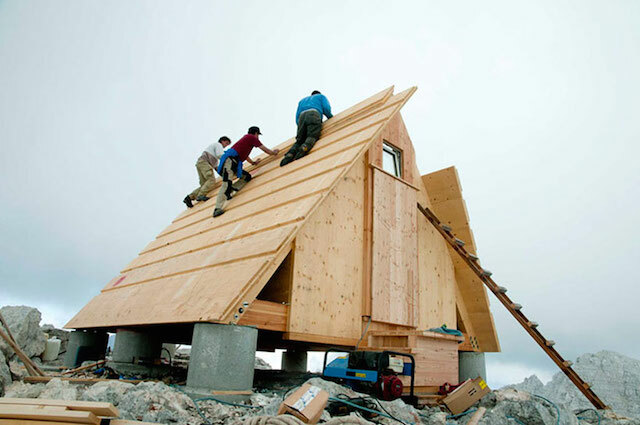 The “Bivacco Luca Vuerich” cabin pays tribute to alpinist Luca Vuerich, deceased in an avalanche in 2010. 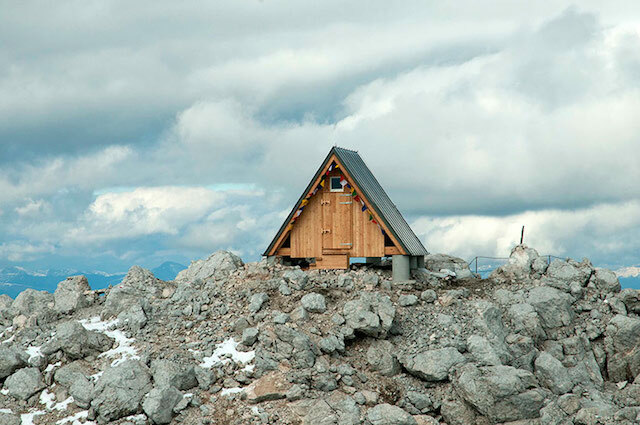 You can rest a while for free if you manage to climb the 2531 meters of altitude.